This is one of my FAVORITES of all time! 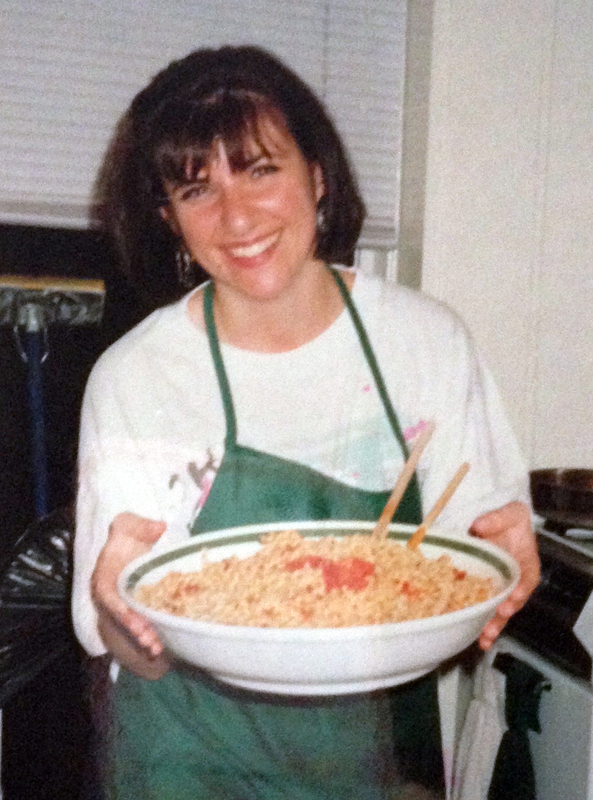 It’s one of the first dishes I ever made when I moved into my first apartment and had dinner parties. It was where KitchAnnette unofficially began! In a small apartment with a KITCHENETTE for ANNETTE – a KitchAnnette! Ha! 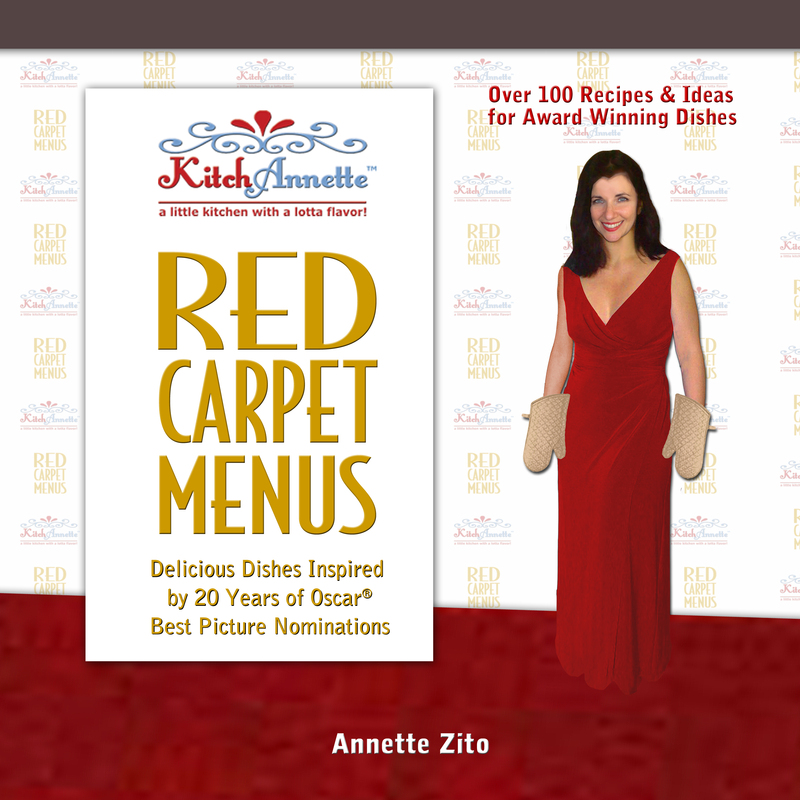 It also became the signature dish of my very first Oscar® menu as you can see in my book KitchAnnette Red Carpet Menus! I never knew that the first menu would be the beginning of a yearly tradition! 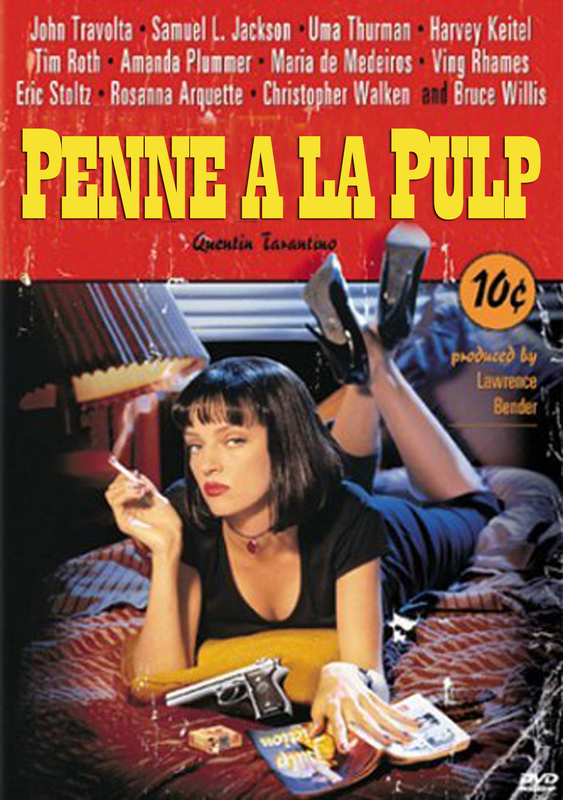 Pulp Fiction was nominated for an Academy Award for Best Picture. It was called John Travolta’s “comeback” film. And it was FABULOUS! Once again, you’ll note the handsome Joe Becwar in the video with me. It was our first video shoot. We spent 3 days making about 6 different dishes, not knowing what we were doing when it came to film making. 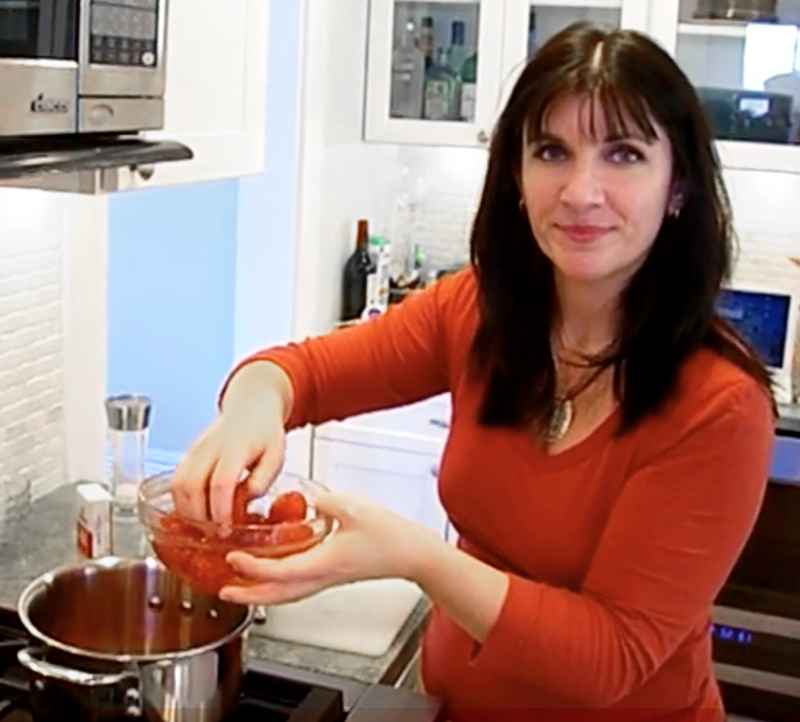 We did know what we were cooking and opted to make dishes the other never had so we could “wow” each other with our food “live” for the new KitchAnnette YouTube channel. This dish is really simple and can be made in a flash. All the ingredients are – or should be – pantry staples. I’m not a fan of using spaghetti, linguine, or any long pasta, but use whatever you like. You’re going to love it! Drizzle oil into a large sauté pan and add the garlic on low heat until browned. Raise to medium heat and add the tomatoes, crushing them one-by-one. Season with salt & pepper, and red pepper flakes to taste. Stir and cover. While the sauce cooks, make pasta according to package instructions. Add basil to the sauce in the last few minutes. When the pasta's cooked, drain and mix with sauce. 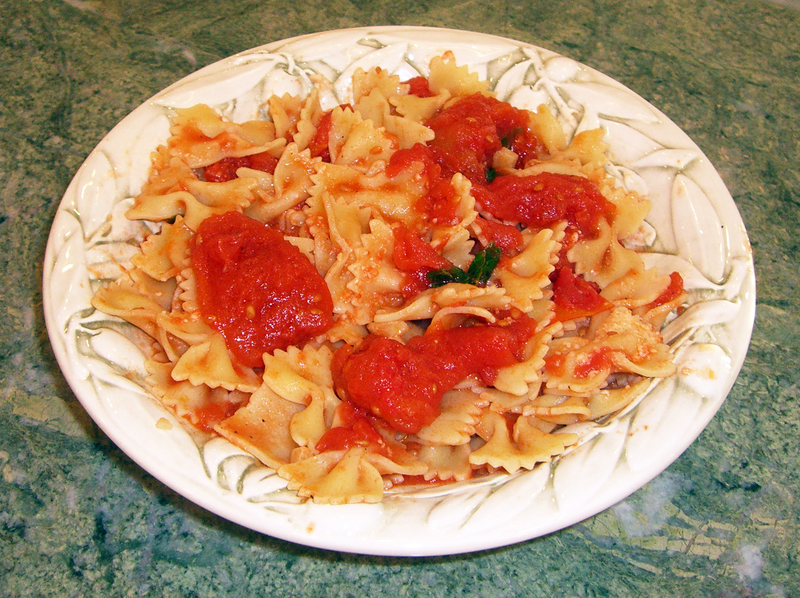 Serve with a sprinkle of grated Romano cheese! « Go Nuts with 3-Times the Flavor! Tri-color Orange Nut Salad!